"Melanie D. Calvert," "Dahlia Patton" is a retired respiratory care practitioner who now works with her first loves - acting, photography and writing. While running a successful photography business for years, she only recently turned to writing a novel through the urgings of her husband Western Fiction Writer W. R. Benton. Melanie's photography has appeared on the covers of all four of Mister Benton's "The Drum Series" Melanie's photography has graced her own books. 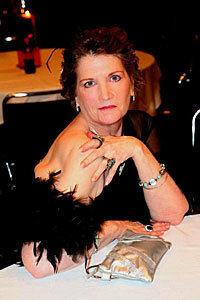 Her first historical novel, "A Southern Moon Rising," was released in July 2008. TV show "Listen to the Eagle"